Are you doing a little bit, a reasonable amount, or everything you can to boost your satisfaction in life, to reach your goals? 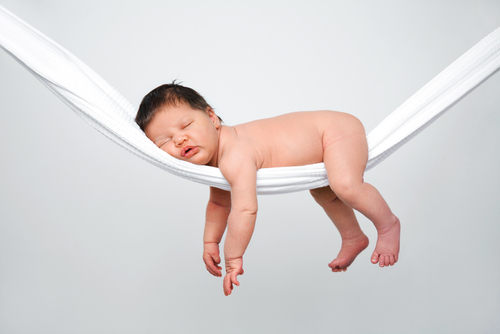 Or are you doing nothing, as this baby is, and expecting other people to give you what you want in life. The baby has every right to expect that someone else will meet his or her needs. Adults will feel better by being self-reliant. You may be saying, “Hey, life is long. I’m taking the scenic route.” Nothing wrong with enjoying your life every day! The question is whether you’re childishly expecting great results through minimal efforts. Maybe you buy into the fantasies of slogans like “Think and grow rich” or “Eat all you want and still lose weight.” Maybe you hate your job, but are only thinking about making a change. We hope that life is long, but what if it’s not? How long do you want to defer satisfaction?! Let me give you an example. There’s a woman I know who’s married to a talented man who had a successful business that was wiped out by the changes in his industry. She thinks poorly of him and blames him for their paltry retirement fund. Oh, and did I mention that her husband has a high school education? And that she’s sitting on her master’s degree and more marketable skills, making excuses for why she’s not doing more to generate income? And that she was underemployed for twenty years? When asked what she’s doing to help their financial situation, she says that she’s working on her résumé, the same answer she’s given for the past year. Clearly she’s taking the scenic route to their financial security, but the view is not spectacular! She’d rather blame her husband, who has fewer skills and resources, than step up and do all she can to improve their situation—and her own satisfaction. Her dependency leads her to make her husband 100% responsible for 100% of their satisfaction. There are the people who complain about their lives, while doing little to nothing to change them. And there are the ones who actually do everything they can to make the most of their lives, and feel increased self-esteem in the process and satisfaction with the results. How’s your approach working for you? If you’d like to harness all your resources for your benefit, therapy is a great help. If you’re using your very good brain to come up with why you can’t possibly reach your goals in life, rather than using that brain to deal with the obstacles you need to work through, treatment with a good therapist can be a lifesaver, or—even better—a satisfaction saver! If you’d like to learn more, reach out to me here. I look forward to speaking with you.